The James Pearson Duffy Department of Art and Art History at Wayne State University (WSU) is providing mobile art workshops at community sites in Detroit, July 21 – August 4, 2017. Workshop participants will learn about abstract art and 3-D design fundamentals through sculptural and digital processes. Individual relief sculptures and digital printed works will be created at each location using reclaimed materials provided by the Department of Art and Art History, WSU. The artworks created during the workshops will be exhibited in the Art Department Gallery, September 15 – October 20, 2017. Also included in the exhibition will be artworks created during community workshops held at the Pablo Davis Elder Living Center, Detroit. There will be a public reception for the exhibition on Friday, September 15, 5-8 p.m. 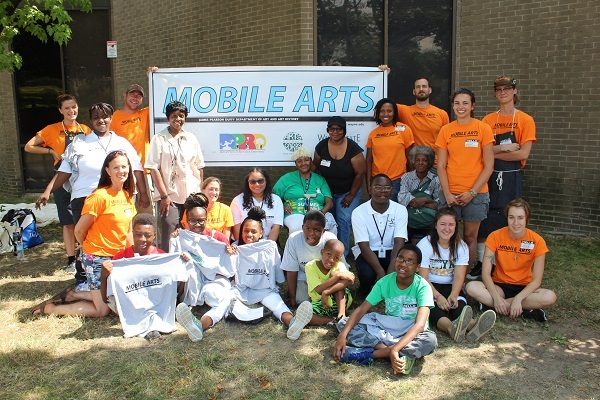 The Mobile Arts Workshop program is an annual collaboration between the College of Fine, Performing and Communiction Arts' James Pearson Duffy Department of Art and Art History, WSU; The Carr Center, Detroit; and the Detroit Parks and Recreation Department. Read the full press release with workshop dates HERE.